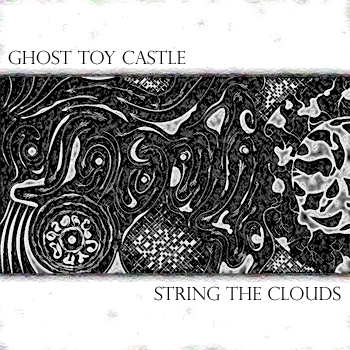 Ghost Toy Castle presents lo-fi bedroom-pop from Cody Myers, who does it all on his new release String the Clouds, a collection of demos he made available for free. Myers hails from the Portland, Oregon area — which he claims “a blessing and a curse, because 99% of the population either was in a band, will be in a band, or is currently in the painful and lasting grip of band purgatory.” I haven’t been to Portland yet, but I can speak to the sheer amount of independent bands there; I receive tons of submissions from Portland… just as many, if not more, as larger cities like NYC, LA, and Chicago. I have to say though: the majority of it is quality, or at least interesting. Ghost Toy Castle, while very low-budget and a bit rough around the edges, is no different. Myers’ ability as a songwriter is best apparent on “Bloody Tracks”, a hypnotic and twinkling gem that finds Myers’ hazy croon build in intensity over steady acoustic strums, glistening piano, and a woodwind-like backing that adds vibrant coloring to a winter-y bedroom setting. It starts to really pick up right after the two-minute mark, when the piano’s involvement becomes more prominent. Myers’ sound would fit in well with friends of Elephant 6, such as the reverb-friendly throwback quality of The Olivia Tremor Control — specifically their 1996 album, Dusk at Cubist Castle. 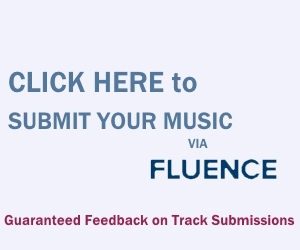 Some garage friendlies like Ariel Pink and R. Stevie Moore are probable influences as well. Whatever source of inspiration Myers is drawing from, an effort like “Bloody Tracks” gives plenty of original reasons to keep an eye on him. The 25-year-old Reed College graduate is currently finishing writing an 11-song LP, though it will be at least a year until he possesses the money and/or means to properly record it.